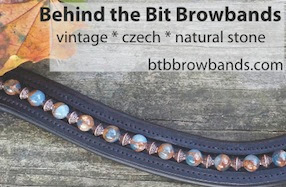 Behind the Bit: Sabino coloring: Love that belly splash! Sabino coloring: Love that belly splash! A reader/commenter suggested I write something explaining color of the warmblood stallion with the unusual markings (posted last Friday). Hah! I know nothing, or at least very little, about color genetics. Having said that, the COTH forum experts are speculating that this horse is a Sabino. And, because his sire has sabino-ish markings (blaze and at least one white leg), I'm going to go with that. But it's really just a guess. Where is Gregor Mendel when you need him? The pattern of sabino horses has always been thought to be polygenic - that is, controlled by more than one gene. And usually it is. There is an exception to this: a recently identified gene mutation (called sabino1) is dominant in that a single copy of the gene results in the sabino pattern. Two copies of the gene can result in a white horse, called a sabino white. A molecular DNA test is available for sabino1. A horse can have sabino coloring without having the sabino1 gene. Clydesdale horses are famous for their sabino markings but appear to have a different gene for sabino. Many breeds have sabino coloring. What is true of SB1 horses (those with the single gene for sabino)? 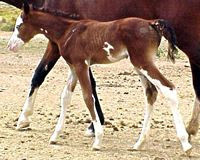 SB1 horses generally have two or more white feet; a blaze or strip on the face; jagged marks around the white areas; white or roaning on the belly. I have always loved genetics- so much so that I took it twice in college ;) It is incredible all of the intricacies that there are. We have several appaloosa colored ponies and one that is supposed to be but came out solid. Her full brother is a fewspot (basically white with minimal coloring) so color can sometimes be anyone's guess. The interesting thing is that if we were to breed her- chances are she would produce color- even though she doesn't express it- the genes are there. They have come a long way in decoding the mysteries of color and still have a ways to go. Do we know any thing about brindle? SB1 is just one of the many genes or mutations that we have been calling sabino. It was always suspected that more than one was at work and research seems to be showing that is true. SB1 occurs in TWHs a lot, it seems to require two SB1s to make a all white horse. The more recently discovered "dominant white" which is in TBs, probably Arabs and Clydes and a few other breeds I never heard of =) seems to require just one to create an all white horse. (I think it should have been called SB2, it's just too hard to explain why a "dominant white" horse is spotted or solid!!) There are at least 2 or 3 OTHER similar mutations near DW in TBs which have not been studied yet, just ID'ed. So it appears that not only may other modifiers affect expression (or suppression) of the various sabino type colors/patterns there are probably many genes or mutations causing them as well as was thought for the past 25 or so years. That adorable foal has another wrinkle, he carries splash white which gives him that bonnet head and blue eyes. He probably also carries sabino in some form (or forms!) too! That WB stallion is awesome, does he have a name yet? Brindle has not been studied much. Many so called brindles are actually chimeras which are animnals that contain two DNA types. This is usually the result of embryos fusing in the uterus. The app pony that wasn't may or may not produce color. It depends on if she inherited either LP (app gene) or any PATN genes (cause pattern versus non patterned varnish roan). If she is a true solid (no Lp) she could still carry pattern genes from her parents but would need an LP to "turn them on" and be expressed. Best bet is to breed her to a few spot. Thanks for the additional insight -- I'm really eager to hear more about this stallion, but have not heard his name yet. Sounds like he was injured prior to the licensing and may not have participated. This was in a COTH post I read recently. I'm not really a horse person exactly, but what an interesting post! My favorite warmblood has a big white belly spot. I think his sire is Wendepunkt, who has almost no white. I have also seen a few other warmbloods at shows with a belly spot. I always wondered where they came from?